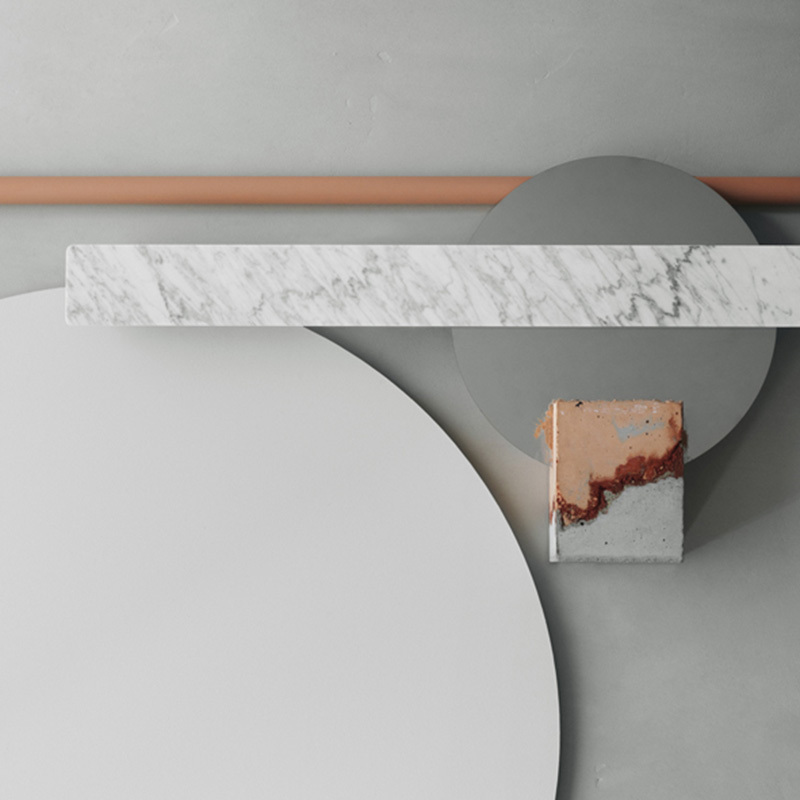 The Fogia Collection for 2019 presented at the 2019 Stockholm Furniture Fair was the company’s most ambitious and eclectic to date, bringing the Swedish design producer’s entire collection to number some 60 items across its furniture, lighting and accessories ranges for home and contract interiors. Bold new shapes, forms and functional iterations this year come from Stefan Borselius, Norm Architects, Note, TAF Studio, Main, Carina Seth Andersson and Andreas Engesvik. 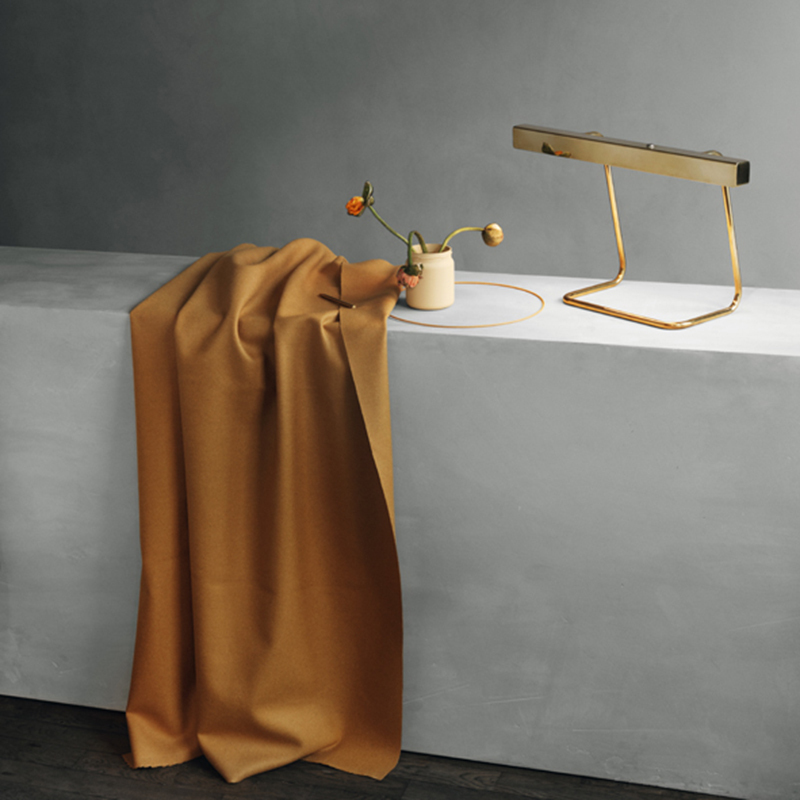 The intention has always been to build a collection founded on the hallmarks of Scandinavian design but not bound by industry conventions. 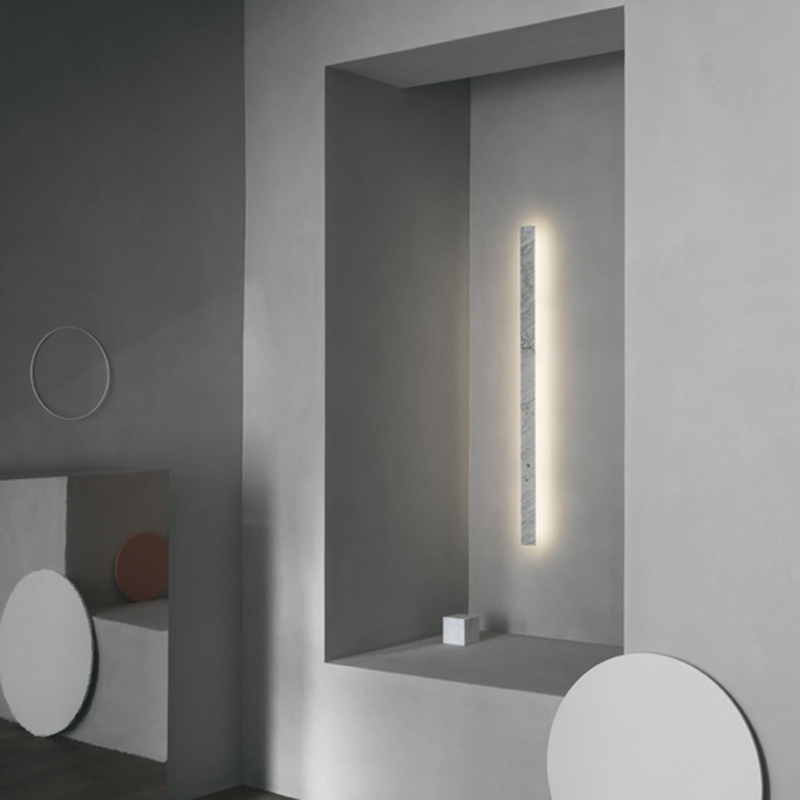 A collection and brand that encompasses the elements needed for modern living and working but with a progressive approach to designing and producing. Myko is one of those quiet classics. 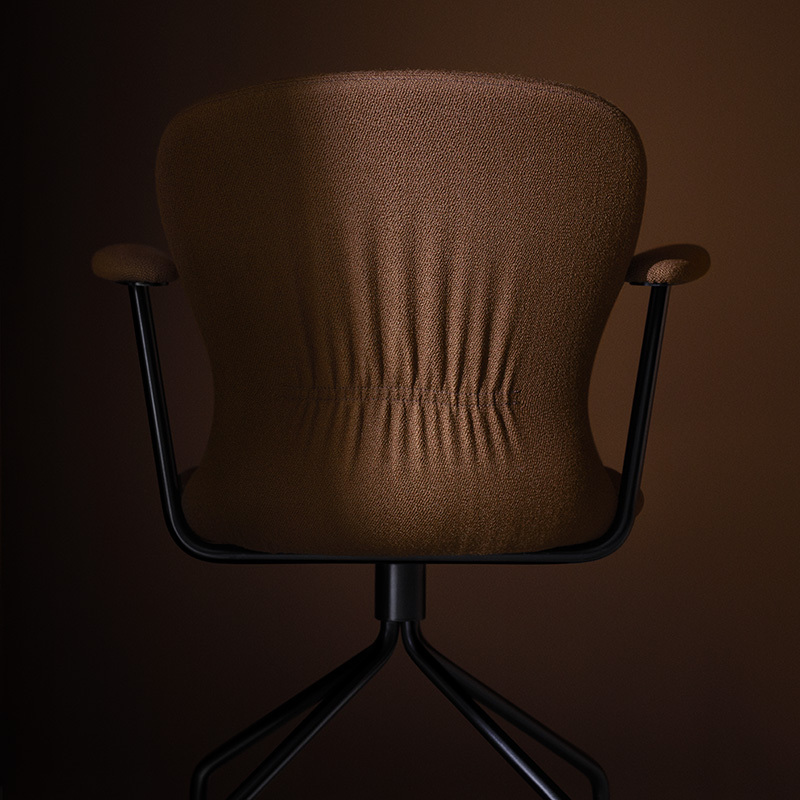 Instantly recognisable sitting taut and resolute, it’s a brilliant balance of form and function. Designed by Stefan Borselius, Fogia asked the designer to extend the range to include an armrest opening up Myko to more flexible office use. Myko as a range was always intended to be expanded so the new model fits with the range beautifully. 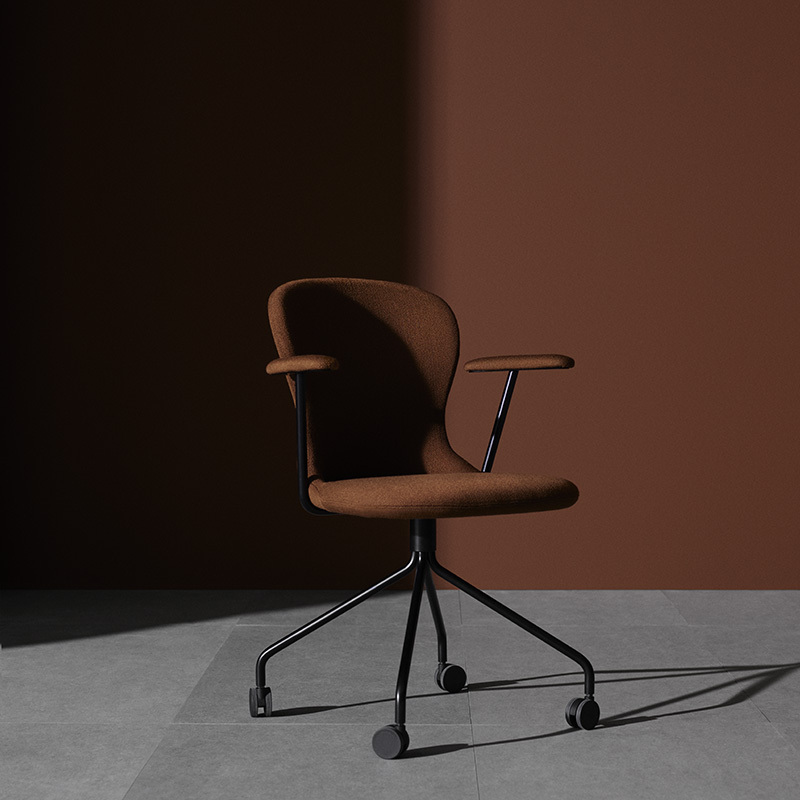 The chair can be upholstered in textiles or leather and specified with static metal legs, alternatively metal legs with coasters for a more dynamic office environment. 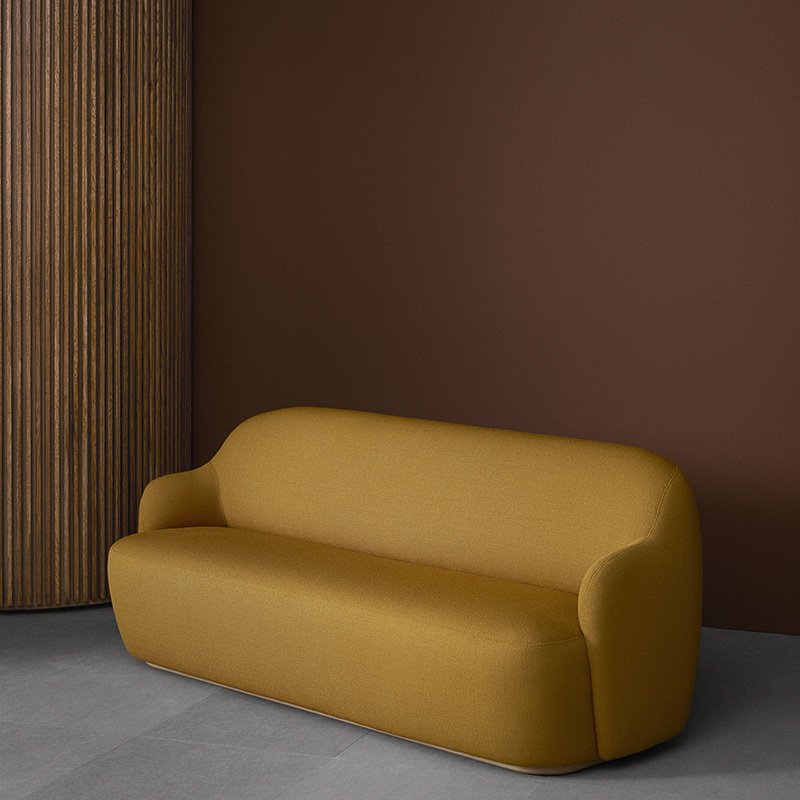 Designed by Andreas Engesvik, Barba is a beautiful sofa with the aesthetical grace that’s perfect for all environments. Flowing forms dominate the series, with a much lower drop in the skirt to add presence. Beneath the surface, a sturdy wooden frame keeps things strong and structurally sound. 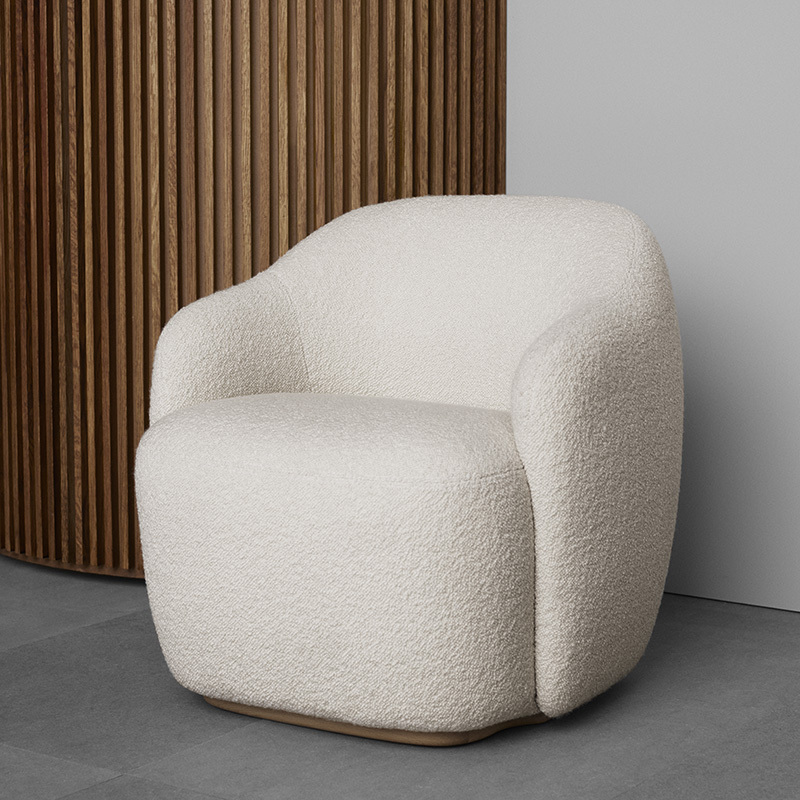 Named after the French word for candy floss and influenced by the classic cartoon characters, Barba can be upholstered in leather or the textile of your choice and its comfort levels are exceptional. In addition to the sofa Barba also comes as a compact armchair with proportions that gently hug and conform to the body. Great dimensions for relaxed dining mean the armchair can be used easily in a dining table setting. A simple expression that leaves an instant impression, that’s Barba. 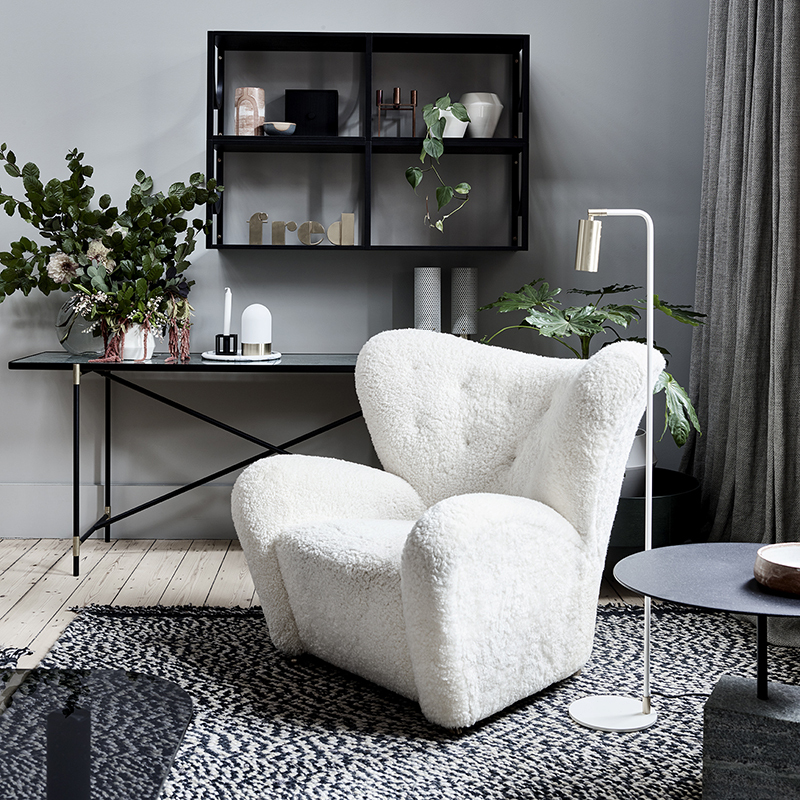 Named after the French word for candy floss and influenced by the classic cartoon characters, this is the Barba armchair, which can be used with the Barba sofa, or on its own. 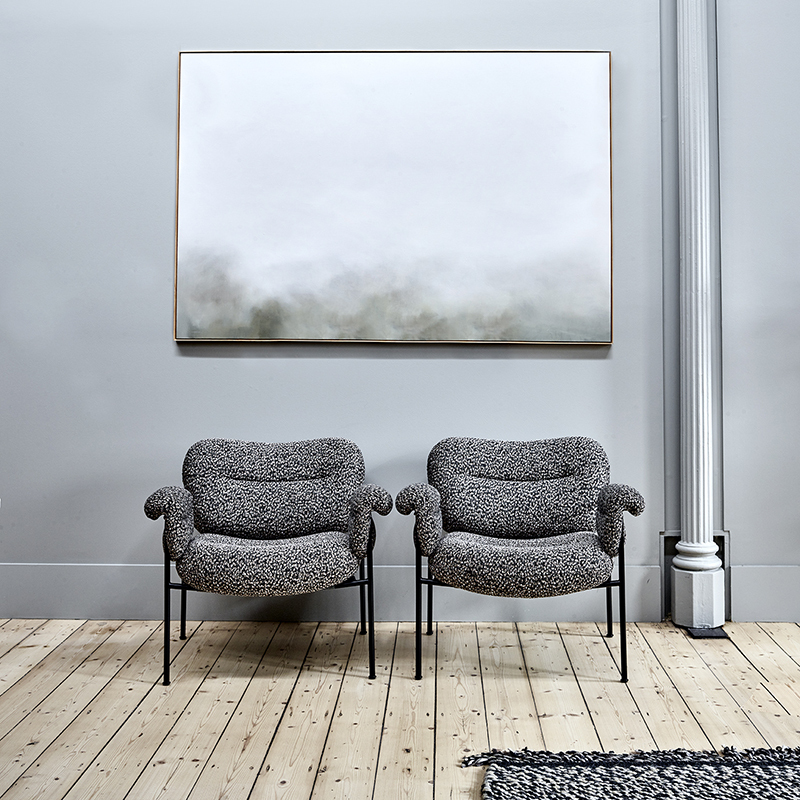 Designed by Andreas Engesvik, the armchair can be upholstered in leather or the textile of your choice and its comfort levels are exceptional. The Barba armchair is compact but has a strong aesthetic expression, with proportions that gently hug and conform to the body. Great dimensions for relaxed dining as the armchair can be used at a dining table. 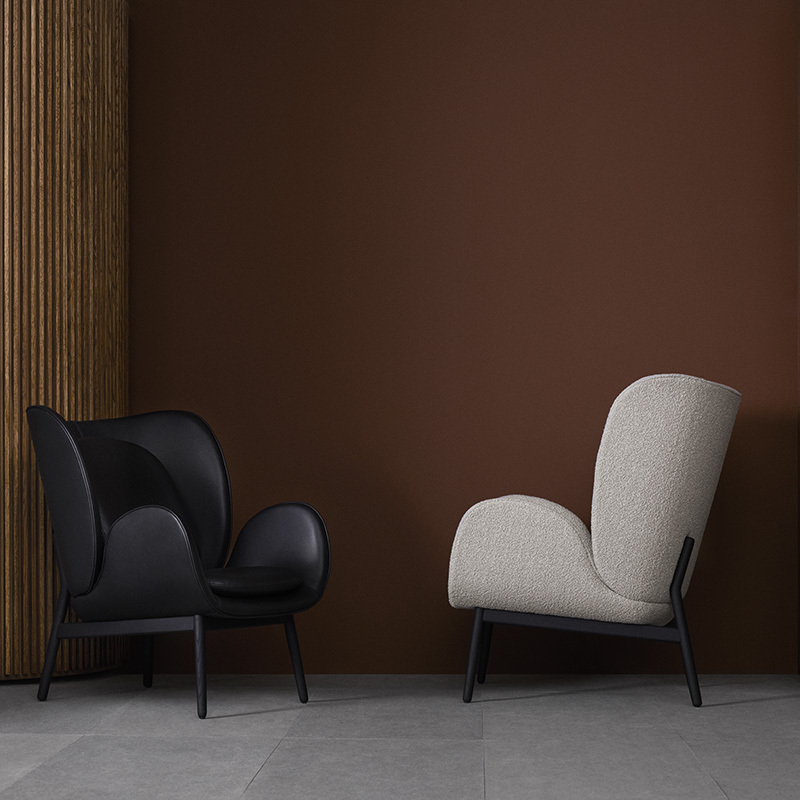 Designed by Norm Architects, Embrace is a scaled down version of the studio’s statement armchair, Enclose—launched in 2018. 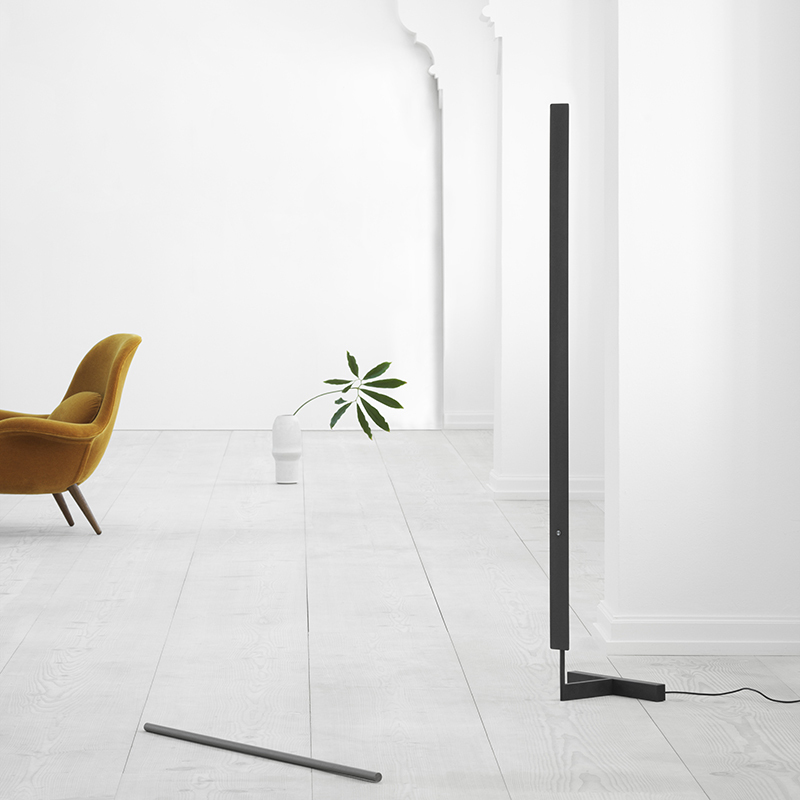 Created to allow plays on scale and height within a space when combined with Enclose. Embrace’s reduced size makes it a little more versatile in the home environment or smaller spaces. 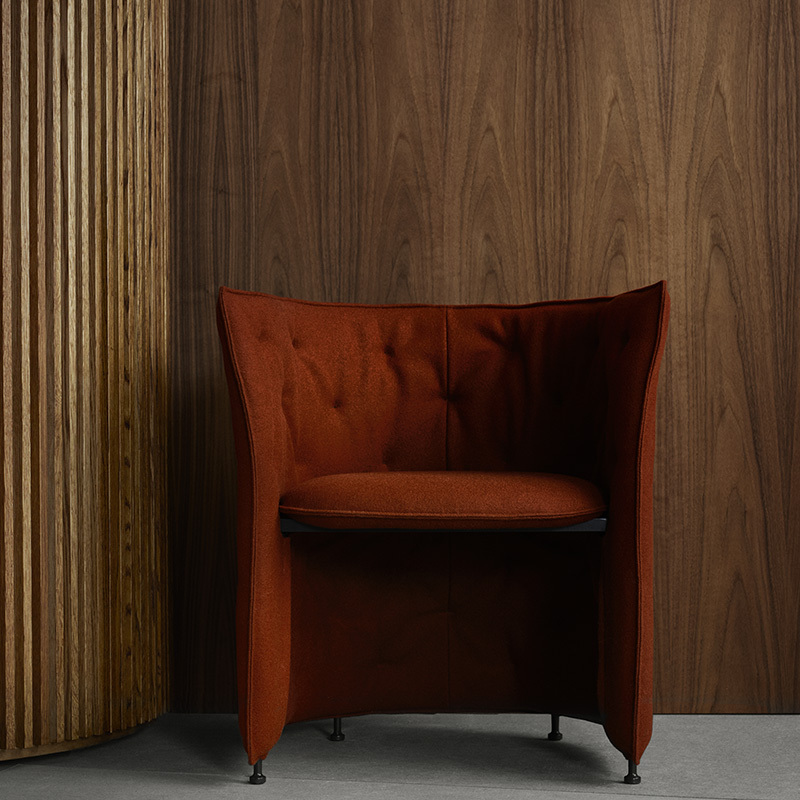 Once again, as with the larger Enclose, this new piece gives the user the ability to upholster the armchair in combinations of textiles and leather and its exposed wooden frame and legs can be specified in a number of finishes. A beautiful take on the classic wingback. 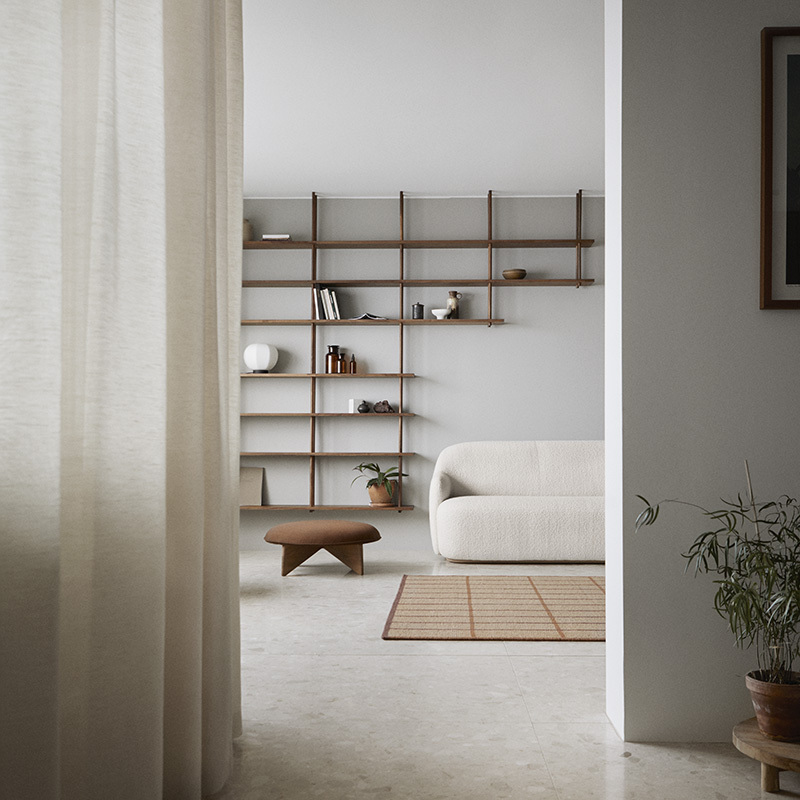 Designed by Norm Architects, Embody was originally created as a stool to complement the Enclose armchair. Yet, when we saw it, the piece had such a strong identity it warrants a life of its own. 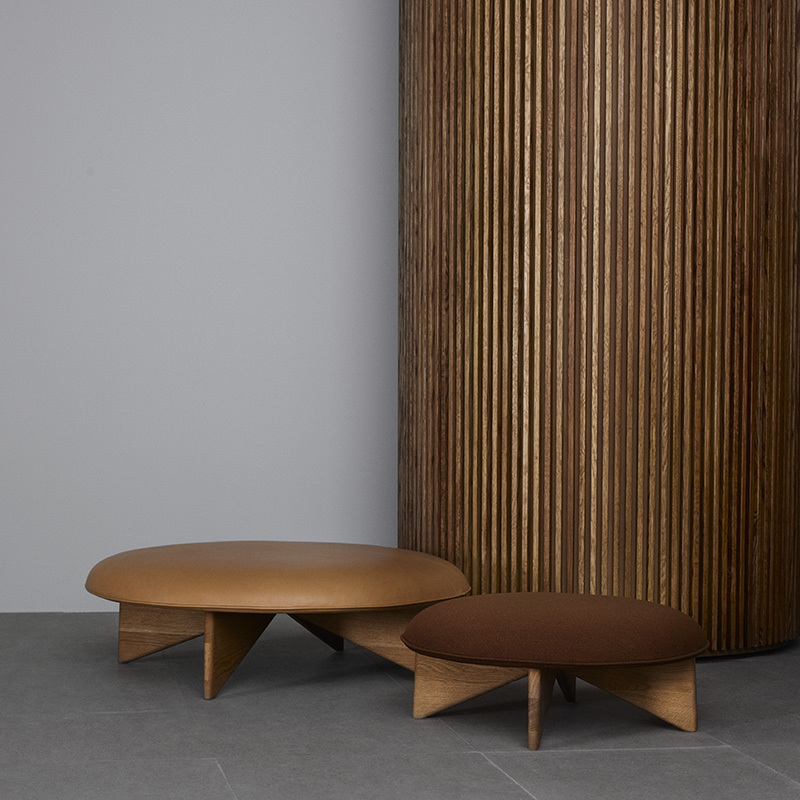 A strong oak base rises to meet the soft seat cushion which can be upholstered in textile or leather. Use it as a footstool, sure. But feel free to grab it whenever you need an extra chair or somewhere to perch for a while. 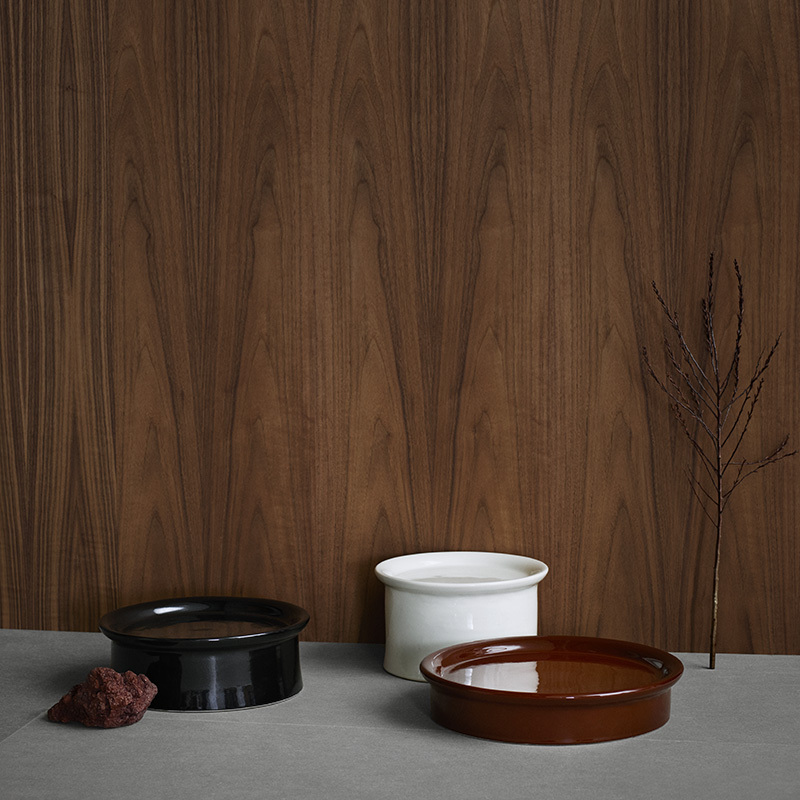 This year Fogia’s Grande range will be extended with a new walnut version and a version of the table with sockets for a more flexible office solution. Grande’s designers Note gave the table a little extra usefulness this year, with the addition of electrical sockets. That same versatile Grande table just tweaked slightly in response to its increasing use in the office space. Its gargantuan proportions remain the same, as does the hard-wearing raw wood and killer lines. This time though those lines won’t get so cluttered with excess cables. The solution is very simple to install; plug’n’play if you will. Niche is a nimble take on the club chair based on a larger version which was designed by TAF Studio and made by Fogia exclusively for the restaurant in the newly-renovated Swedish National Museum. With Niche, TAF has pared back the club chair, giving it a more modern, minimal aesthetic. 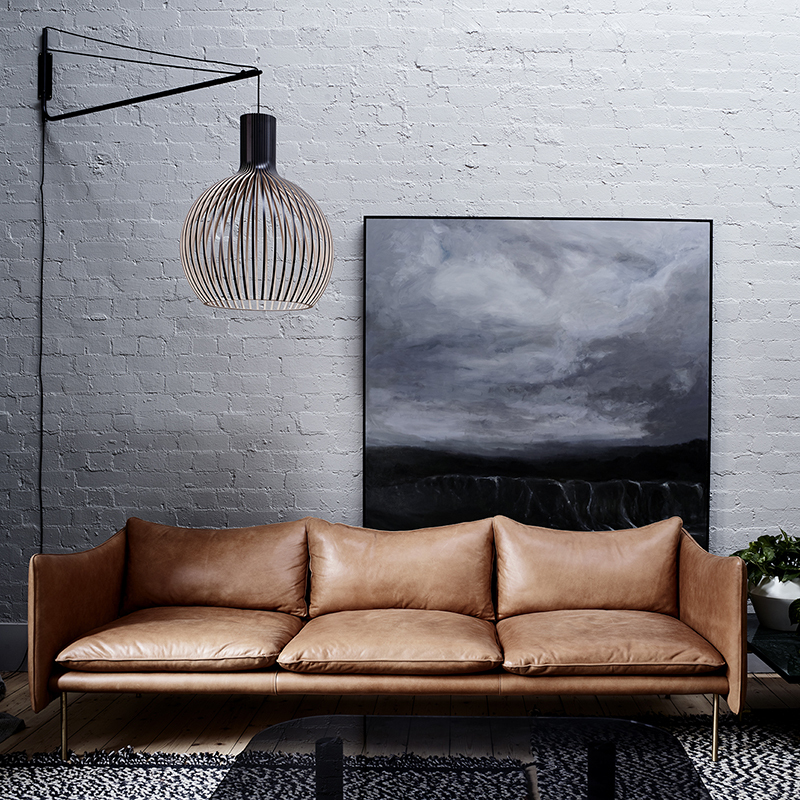 When specced with leather upholstery Niche will be left raw around the edges for a edgy look. Textile versions will have double piping for structure. The chair has a very tight footprint, making it perfect for places where floor space is limited. 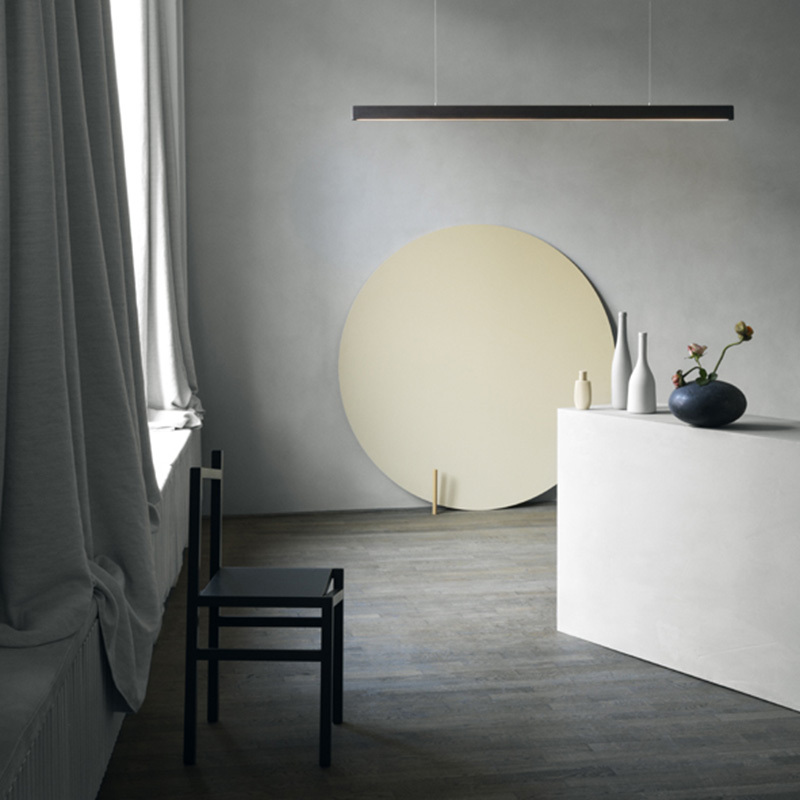 Ribbon is a range of rugs designed by Andreas Engesvik for Fogia. 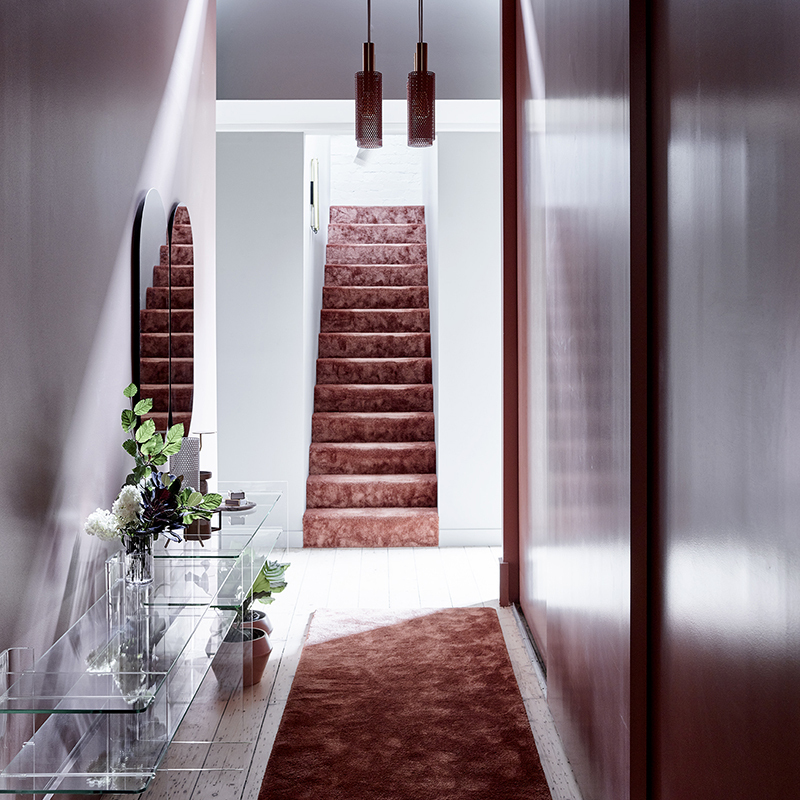 The design draws on classic Scandinavian rugs but with colour combinations that bring them bang up to date. With heavy focus on weaving quality and materiality, each rug is created by hand using sumak weaving, making each piece unique. The repeat conforms to an algorithm that ensures that the squares are the same size for each size, without altering their proximity to the edge of the rug. 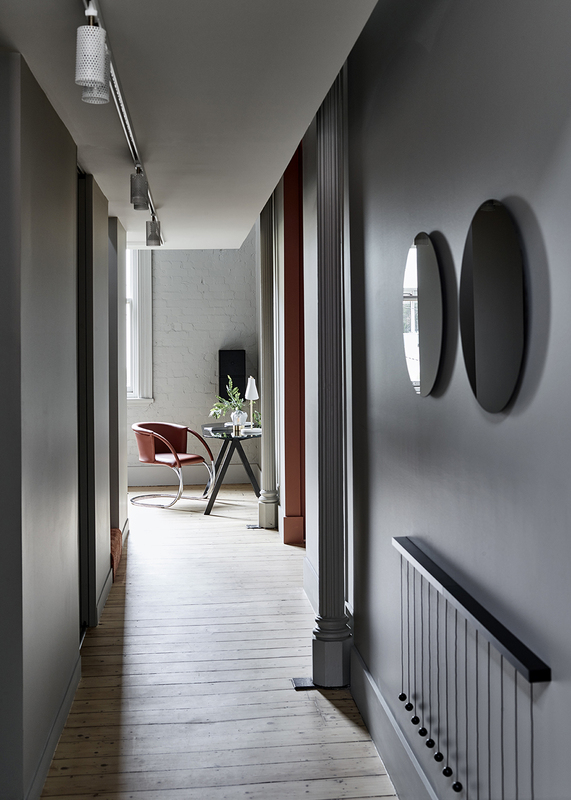 Ribbon is available in a number of colour ways ranging from muted neutral tones to strong blues and green hues. 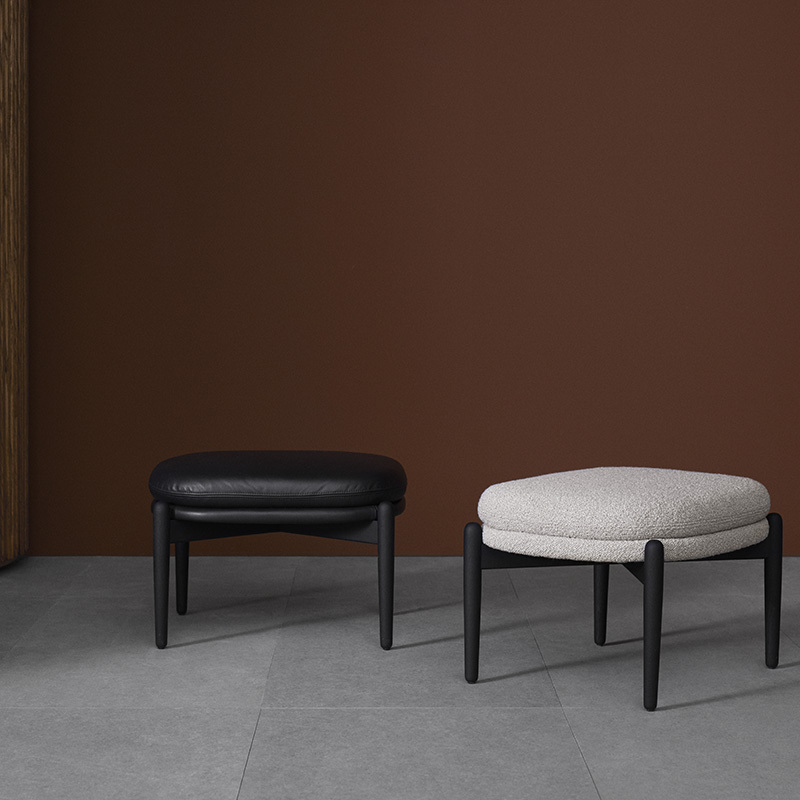 Designed by Norm for Fogia, Utility is a versatile stool in two sizes with space for more than one perching on them at a time. An architectural frame and legs is capped by a soft cushion. Careful attention has been paid to the proportions of the stool, moving it away from what could be considered a ’standard’ height and size for a foot stool, stool or pouf. 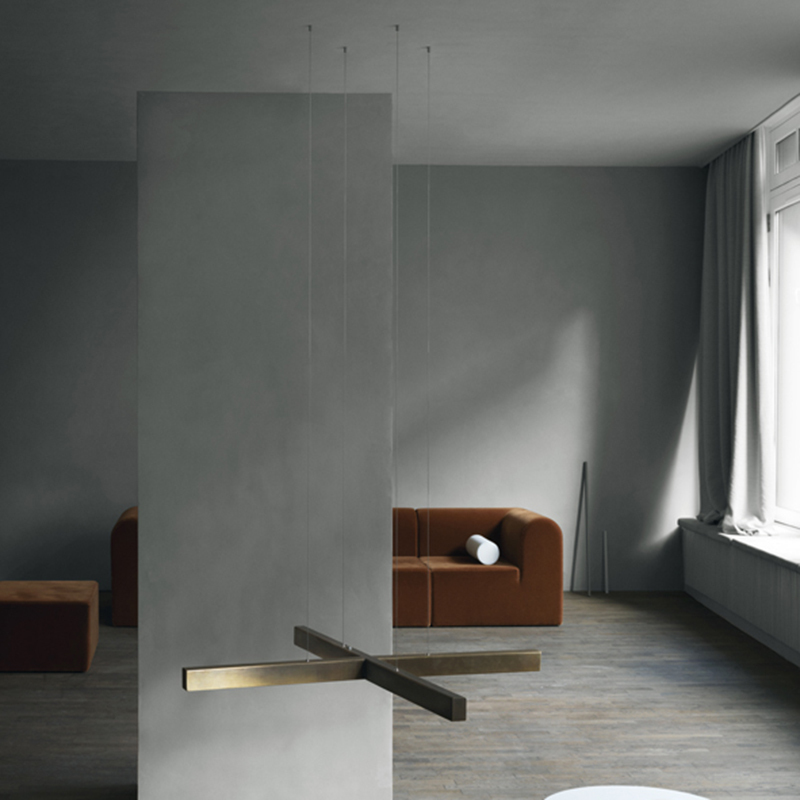 It’s perhaps this facet of Utility which seems to make it draw together elements of a room. 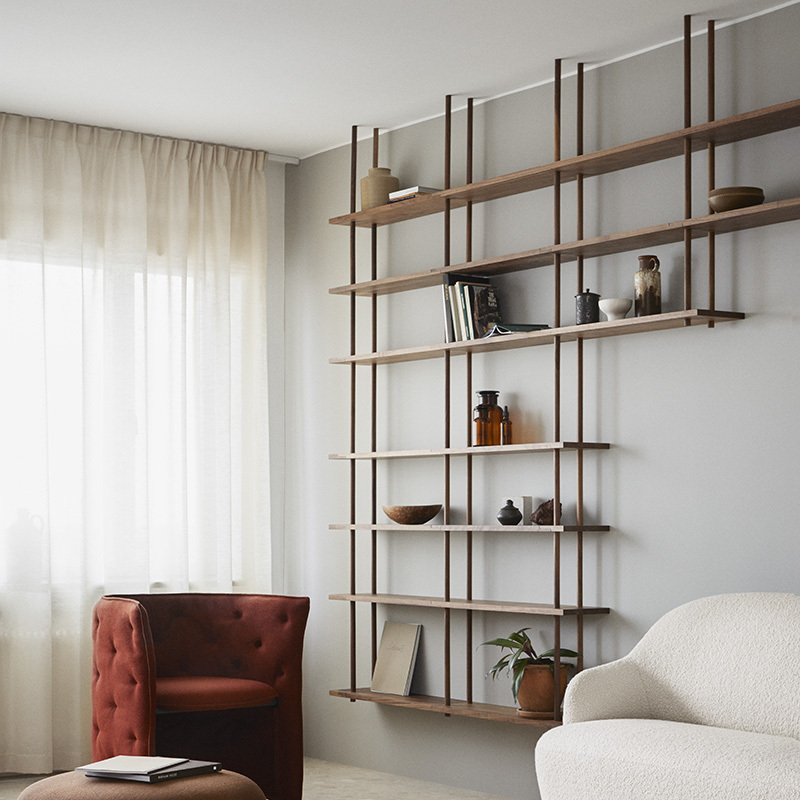 Launched late last year, Bond is Fogia’s first modular shelving solution, designed by Main. With its blissfully intuitive, tool-free assembly, Bond is created as a shelf which can live and evolve with you throughout your life. By adding and subtracting shelves the possibilities are endless. 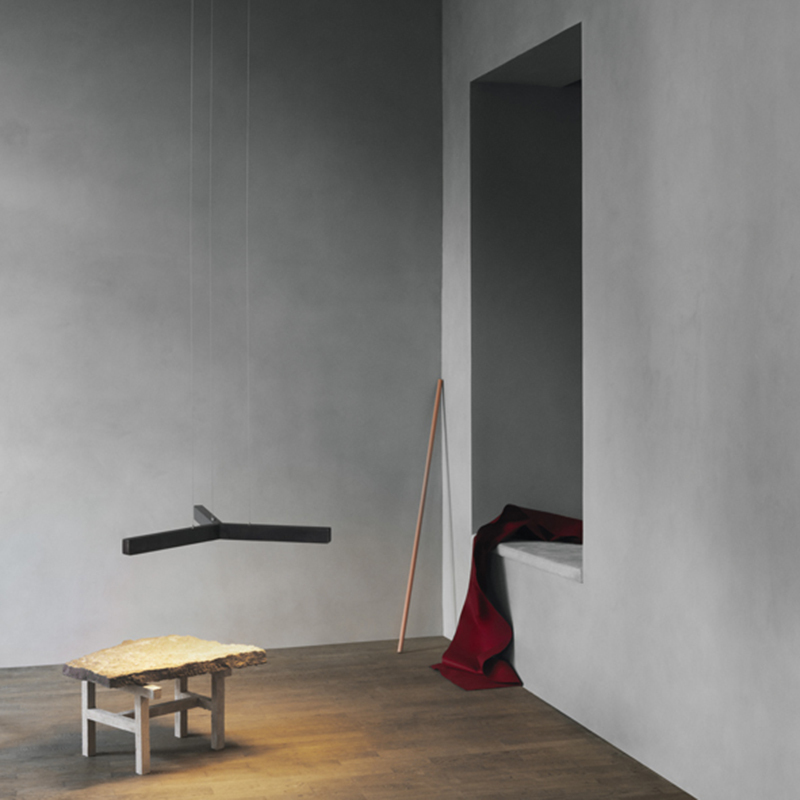 It can be wall or floor mounted or hung from the ceiling to free up floor space for other items. And, if something should get in its way, simply weave Bond around it and continue as before. 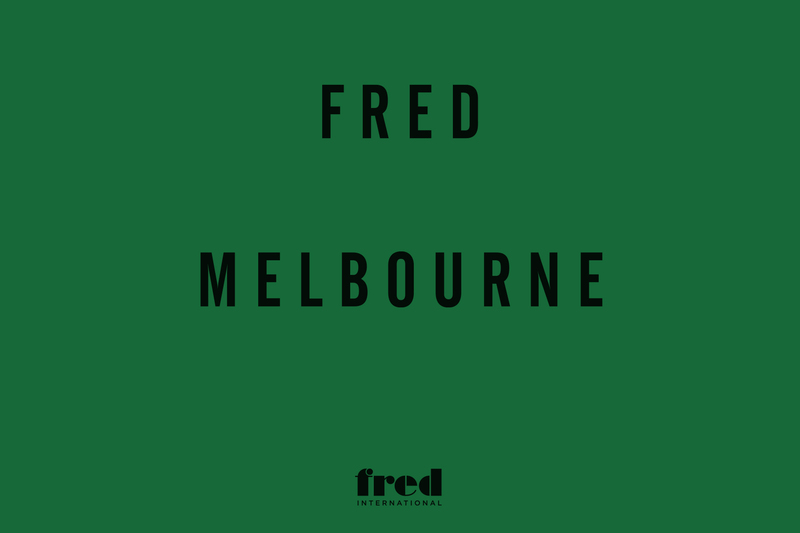 Exclusive previews of Fred International’s new Melbourne apartment concept showroom for VIP clients, prior to the official launch. 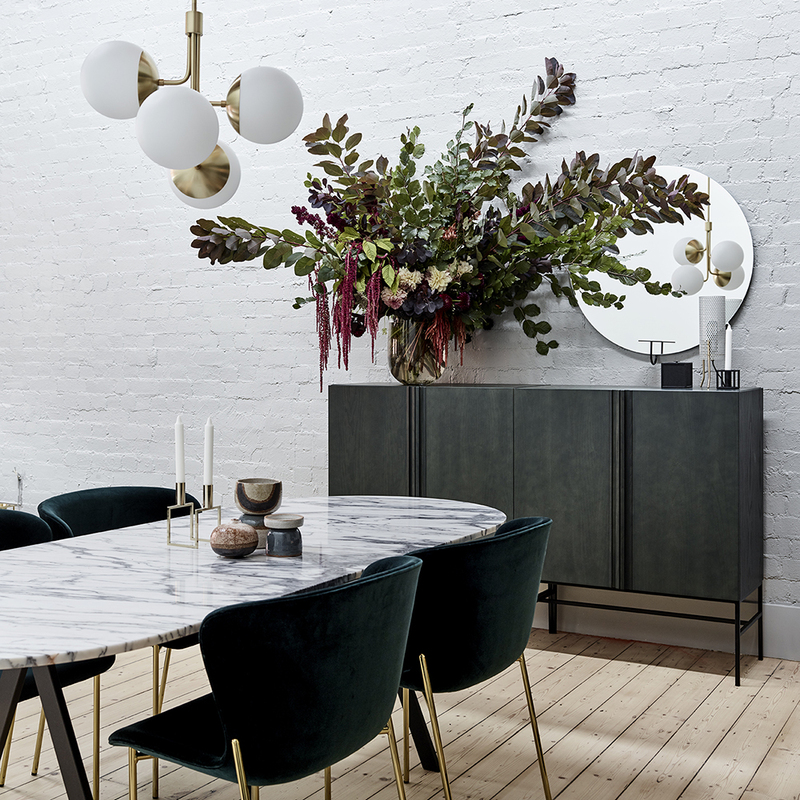 Fred’s apartment is set in a heritage warehouse in Collingwood Melbourne, showcasing the best Scandinavian brands. Open Wednesday 17th and Thursday 18th January, 10am-8pm Please email mel@fredinternational.com.au to set up an exclusive viewing. Limited spaces available.